Client: Exactive, a UK-based unified IT communication services provider specialized in providing Skype for Business (formerly Microsoft Lync) Enterprise Voice, Microsoft Exchange; Video Conferencing technology to the Enterprise and Mid-market. After using the on-premise version of Dynamics CRM for a time now, Exactive realized the need to bring a change in the version and decided to jump to a better version. For a genuine consultation, the client approached De facto Infotech, which suggested them a migration solution. Following a detailed study, the dependable Microsoft-Partner came up with an idea to migrate the entire on-premise solution to Microsoft Dynamics CRM 2011 Online. The client also had another CRM solution in mind, but after evaluating the both, it decided to go ahead with Microsoft Dynamics CRM 2011 Online. De Facto successfully implemented the solution and post-migration Exactive is experiencing immense ease. CRM has now become an integral, productive and easy-to-maintain part of business operations at Exactive. Exactive has been using the on-premise version of Dynamics CRM for long, but now, the company authorities wanted to shift to a better version that suits their accessibility requirements and thus result in better working. It considered the various benefits of the migration, including improvement in CRM applications accessibility for its employees, savings on maintenance and infrastructure costs, easier integration with cloud-based social apps, or fast return on investments, before reaching on a final decision. They wanted to create a cloud strategy using which the company can move their existing on-premise version of Microsoft Dynamics CRM. 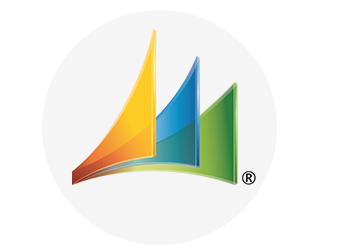 Many customers out there are moving their Microsoft Dynamics CRM from traditional hosting on premises in their server facilities to the Microsoft Dynamics 365 cloud. The company was facing workforce downtime because of using the on-premise version of Dynamics CRM due to which the team couldn’t access the documents once out of the premises. Staying bound to the office for every small work-related task didn’t let the team members work efficiently while on the field. Thus, after discussing the case with De Facto Infotech the company reached the decision of migration and indeed received successful migration. Exactive was clear about bringing some change in its CRM version but wasn’t sure about the type of change it should make. The company consulted De Facto Infotech, whose team of experts suggested the company to move the CRM from on-premise to the Microsoft Dynamics CRM 2011 Online. Moreover, Exactive staff had been using the on-premise version of Dynamics CRM for long now, due to which their employees were used to its flexibility and features. This made migration very comfortable for the company and the staff hardly faced any difficulty in adapting Microsoft Dynamics CRM 2011 Online. With this, Exactive saw a successful migration from Microsoft Dynamics CRM on-premise to CRM Online 2011, thanks to De Facto’s expertise. Allowed sales and service to maintain effective interactions with clients by providing the ability to see all account history. Their employees are experiencing the ease and better accessibility at work. De Facto made smooth and self-driven migration possible for Exactive. The client hardly felt the need for parallel support, engagement or supervision. With CRM Online, Exactive is successfully retooling the processes and has started using CRM to help manage both sales and service delivery more efficiently. Exactive has successfully increased the number of users by 50 percent since CRM is easy to use and can be accessed from anywhere. Kudos to De Facto! We are experiencing the difference, and that’s an optimal one, indeed.